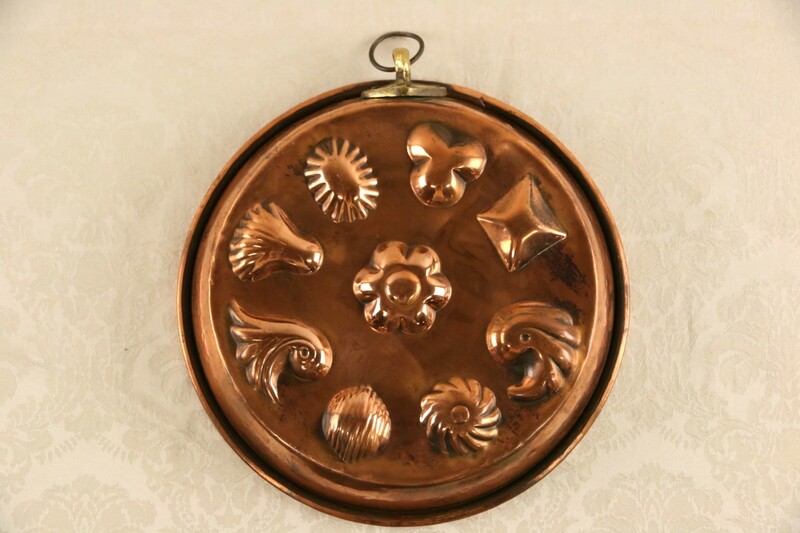 A round rosy copper cake mold from the early 1900's has shell motifs and a hanging ring. This picturesque kitchen antique is 11 1/2" diameter and 2" tall. Shipping USPS within the US is $20.